blossomed in this poet’s heart. asked me to write her a poem. my soul whispers her name. I cannot visualise more grace. who has deepened my life. each unshaded by the other. us a break up poem. you have me till the end. I stroke her back for wings. So much love and beauty in these lines. I’m glad I came across your poem, Deborah. Thank you so much Damyanti for your lovely words and for sharing my poem in the land of the little blue bird. Blessings always, Deborah. Only someone who has loved deeply could know so much about love. I can really feel the love in your words. I don’t know who you wrote these for but she was/is very lucky. I wish someone someday loves me this way. Thank you so much Anja for your thoughtful, wistful reply. I did write this poem for my beautiful wife, although I do understand your question as poets often use poetic licence and there indeed, may not have been a “Wife” after all. Many years ago when I first read e.e. cummings poem, “I carry your heart with me (I carry it in my heart)” … I felt divinely inspired to search for such a deep, profound love, the kind that sets the stars apart. It was a long, long search for love and I kissed a lot of frogs (like everyone) along the way! Blessings always, Deborah. Wow Deborah, the sheer beauty of your words here leaves me speechless. Such a love reminds me of a rose – it blossoms and then, when times are tough we prune them back, mulch them a little so they can hunker down, shuffle their pillows together, nurturing and nourishing themselves as they weather the storms before bursting back with even more blooms…and this is the love in your poem, growing with each season…how wonderful!! The strength and depth of your love for each other is so rich in your words and this is so beautifully written Deborah – I love it all!! Btw…did you know that in the UK there is a rose by a well-known producer called “The Poets Wife”? Thank you so much Sophia for your truly kind-hearted reply. I love how poetry brings out the poet in all of us! A tall scented rose is perhaps my favourite flower and that’s another reason why the painting works so well for me. I love your poetic portrayal of the rose and how with tender, loving care, it not only survives those storms but thrives all through its season of love. Now it’s your turn to surprise me! No, I didn’t know about this gorgeous rose or that it’s called, “The Poet’s Wife” … talk about pure synchronicity! Just googled for an image, love those slightly faded outer leaves. Ha-ha! I think the poet’s wife will love the poet’s wife too! Blessings always, Deborah. May you continue to weather the storms, enjoy the full moon in her rising and falling, tend to your hearts and plants, and always discovering and uncovering your beauty. What a beautiful poetic reply Susan. Thank you so much for your support and inspiration! Welcome home my dear friend, I hope you enjoyed your recent trip. Likewise, I love to re-turn to my garden in the full bloom of summer … the poet’s wife has a deep connection to plants, earth, and the garden … it’s in her blood, her father was amazing in the garden too! Poetically, I feel as though I’m ever so slowly moving towards a fuller bloom … hmm, will hopefully get a little closer by eighty! Blessings always, Deborah. Beautiful.. I was hoping a love poem would put in an appearance. A true marriage of word and image. The poet’s wife is my best poem – Deborah, you are writing with an adorable pen tonight. Thank you so much mariquitta for your lovely words. I do enjoy writing love poetry but the poetry Muses have been taking me in other directions this past year. It’s wonderful to hear that (for you) Waterhouse’s painting and my poem go well together … hopefully a few more love poems and the odd (colourful) masterpiece then to come … hmm, now there’s a new direction for my poetry blog! I’ll think on that. Blessings always, Deborah. Oh, oh, oh, Deborah. I’m in love, too–in love with your love and holding the sweetness of it in my body and bones and words. I’m grateful you have such a love. I’m grateful you know how to weather the storms together. I’m grateful your wife asks you to write her a poem because what’s a better thing to ask a poet? And the image you chose couldn’t be more true to the feelings. Thank you for giving me a glimpse of your love so I can feel the full presence of my own undiminished love. Ten years after his death, it’s still strong and true. While I wish we could watch the butterflies together, he’s often in my dreams, usually encouraging me in the right direction, but recently encouraging me to slow down–something he wasn’t good at doing. Such love that is strong and true is forever eternal! I weep with gratitude for the love and light that courses their way through your heart and your words my dear friend! Watching your Monarch butterflies miraculously transform this summer, in this your “Golden Year of Love” hopefully has been a wonderful reminder of how to slow down in positive ways. I love the way you write about Vic, your beloved Green Man and how much you love him so! How much you miss him and will not be silenced or hide such magnificent love away in a dark corner. No, you joyfully and mournfully shout your love to the rooftop and forest floor (metaphors!) and I, I applaud you because I feel such deep love too for my wife … but know that one of us will have to go first. With this in mind earlier this week I felt such a sharp joy in my heart that a poem began to rise. You will always inspire me Elaine with your heart of light! Although I knew Waterhouse’s painting (which I chose to represent the feeling tone of my poem) once seen again I did wonder if I had actually written the poem for the painting! What incredible journeys we take to find such love. We gently push open the door and into the garden of love we (poets) wander … Blessings always, Deborah. Your poetry is in a class of its own Deborah. 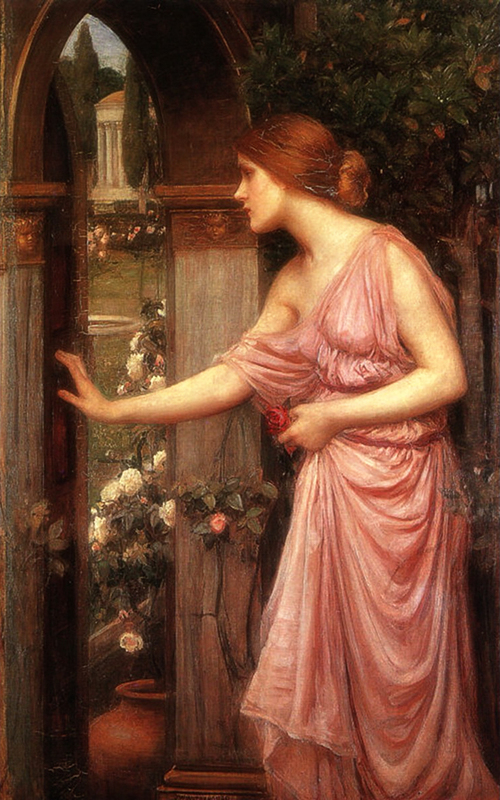 l love Waterhouse’s painting of Psyche. A good balance to your poem. Great color header image – your first? All the best, Anna. You’re always so generous with me Anna, thank you so much for your rich reply! Hmm, I was hoping someone would notice the fact that I used a colour image for the FIRST time on my blog! Well, it was hard not to because the painting could not be reduced otherwise … I did try (believe me!) but it looked wrong on many levels and also the poem was about falling in love and allowing the heart to fully bloom. Maybe more colour will find its way in now! Blessings always, Deborah. Swooning with joy. That’s all. Deborah, it’s been a while but how could I not respond to your beautiful love poem. This is exquisite work with lots of great lines, especially the first and last ones. Clearly, you’re out to evoke the Greek pantheon with your poetic pen! May I ask what your beloved wife thought of such poetic reverence? Thank you so much Lily for your generous, kind-hearted comment! It’s lovely to see your name here again. 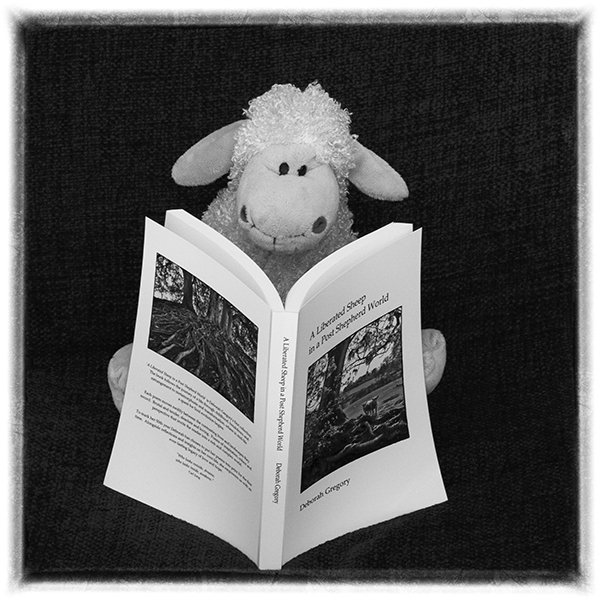 I hope you’re still enjoying my book and your Peruvian travels went well. Oh how can the Greek Gods and Goddesses not inspire us all to create! At the moment I am divinely inspired by the myth of Psyche and Cupid so enjoyed writing this love poem … and in answer to your question, she loved it! Blessings always, Deborah. Dear Deborah, this is a gorgeous poem. Thank you for sharing. Psyche entering Cupids enchanted garden is one of my favourite John William Waterhouse paintings. You inspire me to write new lines for my own muse. Thank you so much Picasso for your beautiful reply to my poem. It makes this poet’s heart fill up with joy to think I have inspired you today to write your muse a poem! The painting is incredible, Waterhouse is one of my favourite painters … Gwendoline Gunn (the model in the painting) was one of his favourite muses! Blessings always, Deborah.